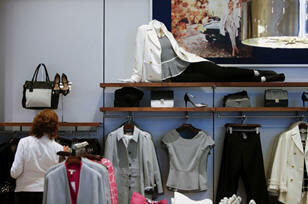 Consumer Confidence Sinks Amid Government Shutdown. Acclaim Federal Credit Union Supports North Carolina Consumers and Businesses. Consumer Spending During the Seasonal Holidays Could Be Sluggish Thanks to Congress’ Missteps. Aspire Federal Credit Union Promotes Consumer Loans in New Jersey. 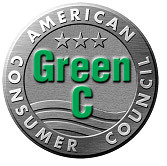 ACC’s Friend of the Consumer Award Recognizes Consumer Friendly Companies. Consumer Confidence Sinks Amid Government Shutdown. Most consumers agree. You can thank an inept Congress and political infighting for the most recent drop in consumer confidence. The federal government shutdown prompted two out of five Americans to curb spending, according to a survey commissioned by the investment firm Goldman Sachs Group. The survey of 1,025 people, conducted from Oct. 10 to Oct. 13, found that the shutdown had a greater impact on lower income consumers, with 47 percent of respondents who earned $35,000 or less saying they would curb spending. Among those with income of more than $100,000, 32 percent said they would tighten spending. Other reports today showed more Americans applied for unemployment benefits last week, the trade deficit was little changed in August and jobs openings increased that month. Acclaim Federal Credit Union is a full service financial institution located in Greensboro, North Carolina and serving the needs of consumers throughout the tri-state region. Since its inception in 1979 Acclaim Federal Credit Union has been serving its members in and around the Greensboro, North Carolina area with exceptional financial products and superior service. Under the leadership of Valerie Marsh, the Acclaim FCU has grown its membership to over 6,600 with assets of more than $28,901,494. 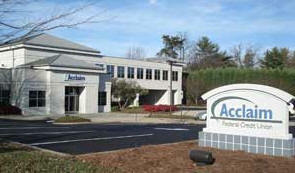 Acclaim FCU’s main office is in Greensboro, NC. The Acclaim offers its members a full service website that allows for true "Banking from Home" functionality. Users have the ability to apply for loans, get account balance and history reports, transfer money between accounts, make bill payments, and so much more. Members can also take advantage of a full array of loans including real estate, business and new and used car loans. Consumers, who join the American Consumer Council, may be eligible to join Acclaim FCU if certain membership requirements are met. Please visit Acclaim’s website or contact them by phone at 336-332-5302, or email them at Admin@acclaimfcu.org to get exact details. 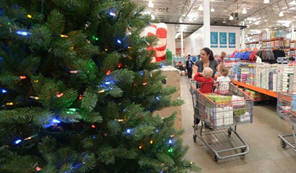 Consumer Spending During the Seasonal Holidays Could Be Sluggish Thanks to Congress’ Missteps. Consumers of all political stripes are trying to figure out what the U.S. Congress was thinking by shutting down the federal government. The conclusion seems to be unanimous… whatever the lawmakers’ motives, it backfired and has caused deep resentment and frustration among consumers, who were just beginning to feel good about their economic prospects for 2013-2014. The financial ramifications will be felt for months according to the American Consumer Council, a non-profit consumer education organization. 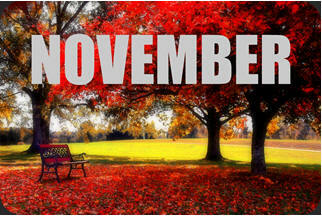 One possible victim will be the Thanksgiving-Christmas holiday shopping season. Retailers and businesses are upset at the Republican-led House of Representatives for their failed strategy to hold the economy hostage in a bizarre effort to stall the Affordable Care Act (Obamacare), which has been law for nearly one year. Ironically, it seems the Republicans and ultra-conservative Tea Party coalition in the House of Representatives hurt one of their core constituencies the most – small business. Now, small business leaders are railing against Republicans and Tea Party members in an effort to get them to reach a middle ground on key economic issues so the holiday season isn’t a complete loss. In a survey of holiday spending plans just released by the National Retail Federation, 29 percent of shoppers said the political gridlock around U.S. fiscal concerns would somewhat or very likely affect their spending plans. The situation would affect shoppers ages 55 to 64 the most, with 32.7 percent indicating they were somewhat or very likely to alter their spending plans. This is not good news for Republicans in Congress. While President Obama’s popularity took a minor hit when consumers were asked, “Who is to blame for the government shutdown?” it was the Republican-led House of Representatives and Congress in general that suffered the blunt of the blame for the recent government shutdown. Our Credit Union has come a long way since those humble beginnings, which included seven people who pooled together shares of $5.00 each to initiate the original charter. Today, Aspire FCU is a $175 million dollar credit union, serving approximately 20,000 members within many diverse employee groups throughout the northeastern United States. Aspire FCU is a not-for-profit financial cooperative, which means all earnings at the end of the year are returned to our members in the form of better, low-cost financial services. The decision to change our name to Aspire Federal Credit Union was made because we serve more than just the employees of the Federal Aviation Administration. The name Aspire means to "soar," which is a reflection of our heritage, while at the same time represents our members’ dreams and aspirations. As our tag line states, "Your Dream. Our Purpose," the employees at Aspire FCU are dedicated to helping make your financial goals and dreams a reality. The cornerstone of our existence continues to be our "member first" philosophy. Whatever it is that you aspire for, we want you to believe you can get there and we’re going to help you along the way. Join Aspire FCU Today: Membership is available to members of the American Consumer Council and employees of participating organizations, their immediate family members and their household members. If you do not meet these requirements, you may still be eligible to join. Members of our partner associations are immediately eligible for Aspire FCU membership. Not sure if your employer is an Aspire Participating Organization? Call us 24/7 at 1-888-322-3732 for more information.